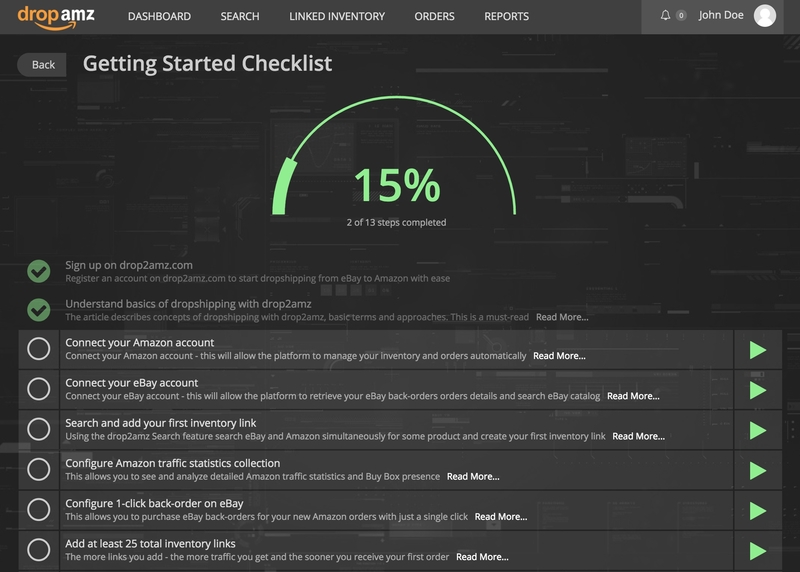 The checklist contains numerous steps – from signing up on drop2amz to eventually processing your orders and getting to Amazon Buy Box. It’s recommended for all new users to stick to that checklist, read Knowledge Base articles associated with each step (Read More… link) and complete each step. This will help you start dropshipping with drop2amz as soon as possible! There is no particular reason to complete these steps in this exact order, however this is our current vision of the most pleasant onboarding flow so we recommend to stick to that order.